h) ITS means Implementing Technical Standards for the IPID. 1. This Guide is intended to support ABI member insurers develop their approach to creating the IPID for different non-life products, in particular the sections of the document entitled ‘What is insured’, ‘What is not insured’ and ‘Are there any restrictions on cover’. It is a voluntary Guide and is not a statement of industry best practice. The Guide will be withdrawn 12 months after its publication date. 2. The requirements arising from the IDD are due to come into force on 23 February 2018. This includes the provision of an IPID for non-life insurance contracts. The IPID is intended to be a short, pre-contractual non-personalised summary document which includes the content determined by Article 20(8) of the IDD text. 3. Draft ITS for the IPID were published by EIOPA on 7 February 2017. The draft ITS are subject to a 3-4 month scrutiny period by the EC. This Guide has been developed on the basis of the draft requirements in order to allow firms to incorporate the principles through the early stages of their development work. We will consider whether further updates are required in response to EU and UK regulatory developments. 4. The FCA’s Smarter Consumer Communications Feedback Statement (FS16/10) challenged general insurers to simplify and demystify consumer communications to help drive a greater understanding of the key product benefits and limitations, enabling consumers to make informed decisions based on a broader range of considerations than price alone . GIC agreed that the ABI’s IDD working group would be best placed to consider how to take this forward in conjunction with the implementation of the IPID. 5. Article 6 of the draft ITS also specifies that the IPID shall be drafted in plain language , facilitating the customer’s understanding of the content of that document and avoiding jargon. This Guide is intended to support ABI members to use plain language and apply a coherent document structure to the IPID, for the benefit of their consumers. 6. The examples given within this Guide are illustrative, and should not be considered as prescribed wording for firms to use. The guide is intended to assist firms as they make their own judgements in developing IPIDs suitable for their target market and product range. Principle 1: The IPID should complement other product documentation and information presented through the sales journey. 1.1 Article 3 of the draft ITS states that the IPID shall include a prominent statement immediately below the company name that complete pre-contractual and contractual information about the non-life insurance product is provided in other relevant documents . 1.2 Cross references to the policy document should be limited in order to be effective. Firms should consider which additional information would be most important to the consumer and highlight this within the IPID. 1.3 Section sub-headings may be used consistently within the IPID and other policy documents, in order to enable consumers to cross-reference information readily. This approach is likely to be more appropriate for single-risk products where fewer sub-headings are used. Information about multi-risk products may need to be aggregated in order to fit within the IPID document size limit. 1.4 Within the IPID, information should be presented in a consistent manner across the ‘What is insured?’, ‘What is not insured?’ and ‘Are there any restrictions on cover?’ sections . Principle 2: Technical terms should be avoided or explained in plain English. 2.1 Technical insurance terms should not be included within the IPID as far as possible . Where necessary, and where space permits, it may be beneficial to provide a simple description of the term before it is presented so that consumers are engaged. 2.2 Ambiguous and unclear words or phrases should be avoided or explained. Auto renewal – Your policy cover will be renewed and payment taken unless you contact us to stop it before the renewal date. not guaranteed to be a vehicle of similar size or specification. Legal Expenses/Uninsured Loss Recovery – Access to legal advice and to cover the legal costs of claiming compensation following an accident that was not your fault. Principle 3: Information included within the IPID should be determined based on both product performance data and consumer understanding. 3.1 The maximum page limit and minimum font size applied by the ITS necessitate that firms exclude certain information they currently include within policy documents and, where applicable, policy summaries. Firms will therefore need to determine which information is prioritised within the IPID based on a range of factors. 3.2 Priority for inclusion within the IPID should be given to the core product components , which may be determined based on the compulsory requirements of the product (for example, the minimum liability cover required for motor insurance policies), by high claims volumes and values, or costs which customers may struggle to fund in the absence of cover. ABI statistics show that in 2015, travel insurers paid out £365 million, equating to £1 million a day, to 494,000 individuals and families who needed help when they were abroad. The main cost of claims was for emergency medical treatment, with insurers paying out over £196 million to cover travellers’ medical expenses and repatriation. More than 166,000 travellers claimed for medical treatment. An annual travel insurance policy costs an average of just £33, while the average medical expenses claim was more than £1,200, and average cancellation claim £800. In total, insurers also paid out £128 million to 160,000 individuals and families to cover the cost of cancelling their holiday. The above statistics indicate that cover for medical treatment is a core product component that should feature clearly and prominently in the IPID. 3.3 Insurers should also consider which product features may be likely to be of particular interest to consumers within their intended target market. Insurers paid £16 million to 87,000 people to cover the cost of lost baggage and money whilst travelling. As highlighted in example C, travel insurers’ pay out significantly more for emergency medical treatment than lost baggage, however baggage cover may nonetheless be a product feature important to customers. Therefore a travel insurance product that includes baggage cover should highlight this on the IPID, and one that doesn’t should highlight the exclusion. 3.4 The IPID also provides an opportunity to tackle common misconceptions consumers may have of the product. These may be identified with reference to complaints volumes, declined claims and consumer enquiries. Will insurance cover damage that is caused when things wear out? Home insurance policies will not cover wear and tear. They are meant to cover damage caused by sudden and unexpected events, not things wearing out, breaking down or failing because they have not been maintained properly. It is important that you look after your home and possessions and maintain the property well as home insurance is not a substitute for proper maintenance. 3.5 Other product features with low claims volumes and severity may be excluded from the IPID entirely, unless they are considered to act as a key product differentiators in line with Principle 4 (below). Most standard home insurance policies include freezer contents cover if the freezer breaks down or the power is disconnected accidentally. However, claim volumes are typically low, so firms may determine that this does not require inclusion. Principle 4: The IPID should allow consumers to compare products by prominently highlighting key differentiators. 4.1 Core product information that is either mandatory, or varies very little by provider (e.g. motor fire and theft cover), should be presented concisely, in order to allow space to describe features or exclusions which may differentiate the product from others available on the market. Consistent features and exclusions may be identified by benchmarking, use of existing market intelligence reports, or other external sources. d. Product features which are optional, but which may be offered as standard by other providers. the variation of how this cover is offered in the market would support that Accidental Damage should be explained in the IPID. it as an optional extra for which you’ll have to pay an additional fee, and some policies may offer no windscreen insurance at all. Principle 5: Explanations of risks and exclusions may be best presented using broad sub-headings and scenario based descriptions. 5.2 For some products, consumers may find it easier to understand what is insured by the policy if the benefits and exclusions are grouped by insurable event within the IPID. Describing the circumstances which may result in a claim, before describing the possible outcome, may lead to higher levels of engagement. Principle 6: Optional aspects of cover may be presented within the IPID under certain circumstances. 6.1 It is assumed that add-ons which meet the FCA Sourcebook definition of a ‘Policy’ will be presented within a separate IPID from the primary product. d. Uncommon options which may prompt consumers to select that product. 6.3 Article 5 of the draft ITS establishes that information provided about add-ons and optional covers, if any, shall not be preceded by ticks, crosses or exclamation marks. The IPID is not intended to be personalised for individual consumers . 6.4 It is likely that variable cover limits would be best presented elsewhere in the customer journey in order to be shown in a clear manner. Information about variable limits may be included within the IPID where this would assists the consumer’s understanding of the product , or where they may act as a significant differentiator. d. Pet accident only; maximum benefit; lifetime and time-limited policies. Registered in Scotland, No. 2116. Registered Office: Pitheavlis, Perth, PH2 0NH. Authorised by the Prudential Regulation Authority and regulated by the Financial Conduct Authority and the Prudential Regulation Authority. Firm reference number 202153. This document provides a summary of the key information relating to a private medical insurance policy. The full terms and conditions of the cover and other important information are included in the policy documentation. What is this type of insurance? This insurance is designed to provide cover for members who permanently live in the United Kingdom, for treatment of an acute condition such as a disease, illness or injury that is likely to respond quickly to treatment. Extensive benefits for cancer treatment We’ll cover the cancer treatment and palliative care required, as recommended by a specialist, if you make a cancer claim. We’ll also provide extensive cover for aftercare, including consultations with a dietician, as well as money towards prostheses and wigs. Please refer to the terms and conditions for full details. 7 What is not insured? These are some of the core exclusions which may change if you select options to increase or decrease your cover. Please refer to the terms and conditions for full details. - Co ver for pre-existing conditions under this product is dependent on the underwriting type that applies to each member. - S pecialists’ fees will only be covered up to the limits in Aviva’s fee schedules. - H ospital fees are only covered in full when using a facility agreed by us, which may not be at a hospital on the chosen list. - C T/MRI/PET scans are only covered when using a facility agreed by us. - S ome benefits have specific limits. Please refer to your terms and conditions for full details. - If you select an excess, eligible benefits will only be paid once the excess amount has been deducted. - If y ou choose a reduced out-patient limit, the following benefits will be removed: surgical procedures on the teeth, complications of pregnancy and childbirth, and limited emergency overseas cover. - The United Kingdom - for the purposes of this product: Great Britain, Northern Ireland, the Channel Islands and the Isle of Man. - Outside of the United Kingdom, any benefit is restricted to what is included in the limited emergency overseas cover. • You must take reasonable care to provide complete and accurate answers to the questions we ask when you take out, make changes to, and renew your policy. All members must also take reasonable care to provide complete and accurate answers to the questions we ask when making a claim. • You must also tell us about changes to your circumstances, for example, a change of name, address, if any member works for the diplomatic service or foreign embassy. You must tell us as soon as possible if any member no longer permanently lives in the UK. • The provision of insurance under this policy is conditional on you observing and fulfilling the terms, provisions, conditions and clauses of this policy. • In the event of a claim, we strongly recommend that you call us before any planned consultations, treatment or diagnostic tests take place so that we can advise you on what will and will not be covered. • You can cancel your policy at any time. If you cancel within 14 days of purchase or renewal (or, if later, from the day you receive your policy or renewal documentation), provided no claims have been made, you will receive a full refund of the premium. If you cancel after the 14 days, you will be entitled to a refund of premium less a proportionate deduction for the time we have provided cover. If you wish to cancel your policy, you will need to notify Aviva in writing at: Aviva Health UK Limited, Chilworth House, Hampshire Corporate Park, Templar’s Way, Eastleigh, Hampshire, SO53 3RY, or by calling Aviva on 0800 092 4590. 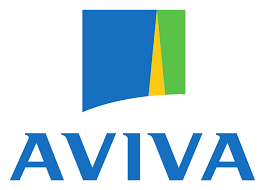 Calls to and from Aviva may be monitored and/or recorded.